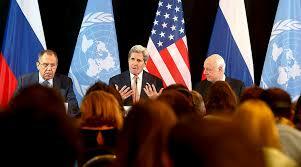 "Any ceasefire can be tenuous because tensions and skepticism remain high. If one side lacks the sincere intention of pursuing a negotiated settlement, the whole process is jeopardized. Moreover, ceasefires are often manipulated as tools for political or strategic advantage. For instance, one side may use a ceasefire to reconstitute its war-fighting capacity and/or maneuver its forces into stronger tactical positions. One side may also undertake other provocative actions that are not in-line with the spirit of the ceasefire in an effort to weaken the position of its opponent, perhaps inciting the other side to break the ceasefire, bringing condemnation and pressures from third parties." - M. Shane Smith, "What is a Ceasefire and Why is it Important?" Beyond Intractability, October 2003.